2 Megapixel Bullet Camera Infrared brings you true Full HD 1080p video footage that rivals that of IP cameras. What makes this HD bullet camera so great is that it can used with standard RG59 coax cabling thanks to its HDCVI technology. The new HDCVI technology in this camera allows the video signal to be run up to 1600ft without signal loss using a high quality solid copper conductor RG59 coax cable. The ability to run video over coax cable makes it a great pick for users with existing wiring who want to upgrade to a HD security camera system without having to take on the expense of changing the wiring to CAT6 for IP cameras. 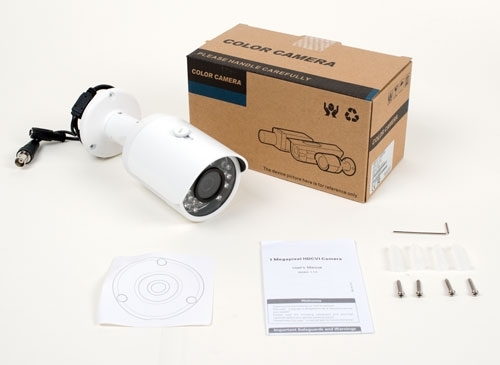 This 1080P Bullet Camera makes for a perfect upgrade for your current system or for building a new security camera system. 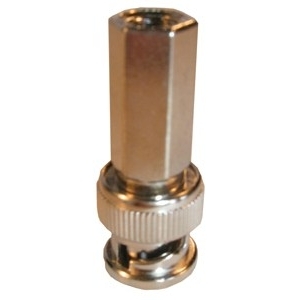 This bullet camera comes with a 3.6mm fixed lens that provides a 75 degree angle of view. 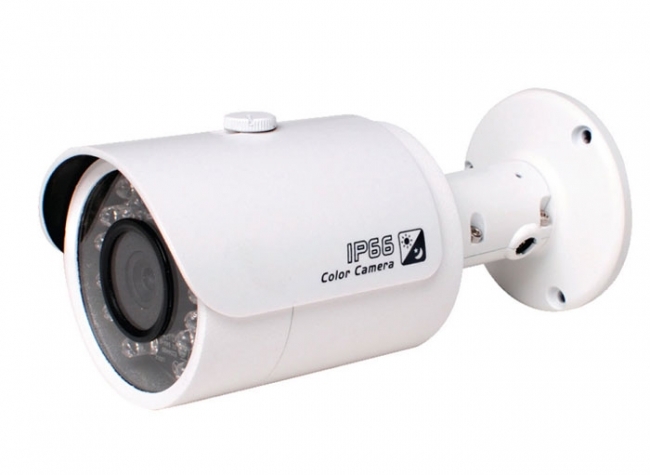 It also has 24 high intensity Infrared LED that provide up to 65ft of night vision, so that you can maintain surveillance through the night without losing the ability to see your property. The camera is made out of metal and is weather proof for outdoor use without the need for an eaves or overhang above. You can rest assured it will keep working in almost any weather you throw at it short of a tornado or hurricane. The camera can also be mounted on a wall, ceiling or pole. It is small and size also suitable for use indoors. The camera bracket protects the camera pigtail from wire snipping and tampering. The camera also has an on-screen display menu (OSD) that can be controlled through our HD-CVI DVRs or XVRs when the camera is in HD mode. The OSD will allow you to toggle video brightness, contrast, gain control, and other key video features. This camera supports both HDCVI output for 1080P high definition video quality over coaxial cable, and analog video output for compatibility with a standard definition 480P/D1/960H DVR. Be sure to watch the actual video sample located underneath the main picture of the camera above. If you need help, with every purchase you get free technical support for the product purchased. 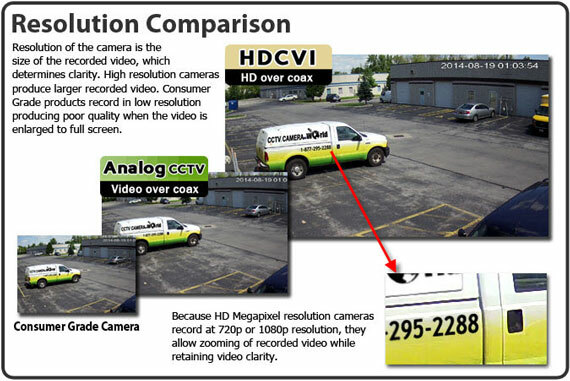 CCTV Camera World also offers free mobile apps and viewing software so you can view your cameras connected to the HDCVI DVR over the internet through your smartphone (iPhone, Android, or Windows Phone), tablet (Android or iPad), or PC/Mac computer. 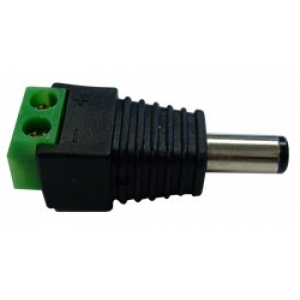 Will this work with a analog DVR that has bnc inputs? This is a 1080P camera that outputs video using the HDCVI signal format. An older DVR that accepts BNC standard analog security cameras will not accept a HDCVI signal. You will need a HDCVI DVR which can be found here. Yes we do have this outdoor security camera in a version with more night vision that also has smart IR. Please this outdoor infrared camera.